I was reading the History of the world in 100 objects in BBC production. It employs a beautiful concept of closely looking at an object reading from it and around it the cultural processes surrounding it and shaping it. As a captured moment of sometimes everyday life, it reflects the history and all the background currents that have made it. Yet these moments are so transitory and although we at the time feel they are just mundane, they disappear quickly almost without a very visible trace. We are left with layers of left over objects, sometimes ruined spaces and ritualized traditions. I have a feeling that through the microcosms of our own lives we go through a similar process, accumulating experiences and items and building on top of previous layers of personal history that have become the base – the ground. Maybe art is an attempt to capture and save and also understand these moments. I am at the moment influenced by Scandinavian art. 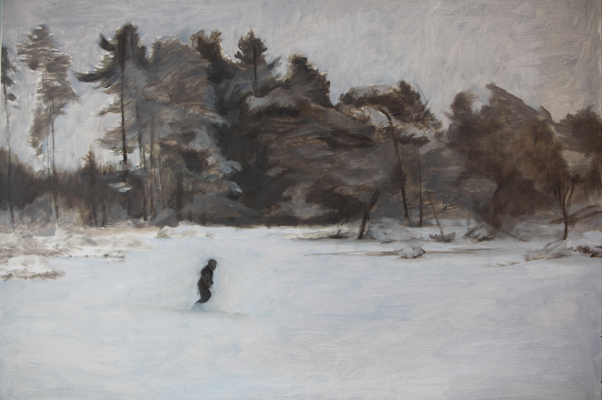 I can mention few artists that I love looking at currently : Bruno Liljefors, Pieter Dik, Vermeer, Vilhelm Hammershøi. I keep on going back and looking for some more of their work. There is poetry in their art. 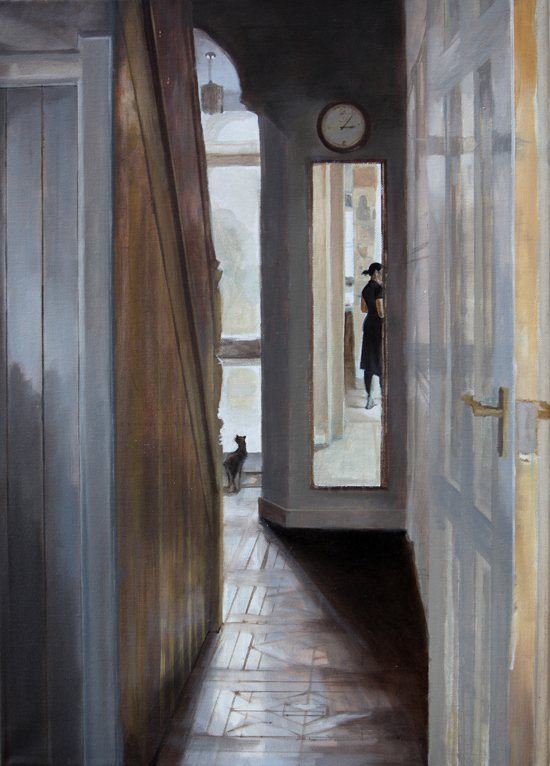 The light shapes the space and describes it both in their interiors and in the landscapes/wildlife paintings. Bruno Liljefors and Pieter Dik paint the nature in a very quiet and beautifully observed way. The only sound is the sudden fast movement of a wild animal or a cry of a bird. The paintings that I am working on now are images of past moments, echoes in the space that pass so quickly never to return.I am trying to understand and visually represent the way our memory changes the history and colours it with a nostalgic cloud. These images are not trying to capture the reality as much as my memory of it; it should always have emotional undertones and something elusive. Here is a couple and they are not finished!